The field of education often reflects the ebb and flow of ideas of scholars and practitioners, which at first blush sound new or cutting edge. Then we realize the ideas can be traced back to earlier viewpoints so well constructed they stood the test of time. Studying the evolutionary ideas results in a sense of admiration and respect for the person who penned the earlier thoughts. Dr. A. Harry Passow was such a person whose ideas make us proud to have known him as a scholar and friend. Dr. Passow died March 28, 1996, and his personal and professional legacies to the world are immeasurable. We treasure our encounters with him, whether they were face-to-face meetings, telephone conversations, or reading the numerous books and articles by such an incredible wordsmith. Harry’s many gifts and talents were evidenced in initial encounters with him. Just listening to him tell a story made you realize that he was destined to write. His words and ideas flowed so gracefully. He captured your attention with his gentle demeanor, sound grasp of relevant research, and keen perspectives from experiences. Over 40 years ago, Harry talked about issues that sound so current in the field of gifted and talented education in the 1990s. He was acutely aware of the importance of developing the talents of young people, studying the scholastic underachievement among bright students, determining the effects of ability grouping, and opening opportunities for disadvantaged learners before some of us even realized the importance of these issues. A design for a curriculum for the gifted and talented should provide for differentiation of goals, content, instructional strategies, resources, and evaluation. The desired balance between basic general education and specialized education in the program for gifted and talented students should determine the selection of content and instructional strategies. Various gifts and talents emerge, can be identified, and can be nurtured at different developmental levels. Gifted and talented students need access to a variety of “teachers”&#151’instructors, mentors, counselors, and role models. Harry’s words and wisdom offered us guidance in designing and developing programs when they were published almost two decades ago, and they continue to hold promise for the vision of what could or should be. Fortunately, in many schools around the world, these generalizations and principles are practiced regularly because they represent the best of educational research and practice. Harry knew and understood the educational milieu of advantaged and disadvantaged students in urban, suburban, and rural environments. His first-hand knowledge of schools and his communications with educators paid off tenfold as he wove his visions for schools into his many writings. Frasier, M. M., & Passow, A. H. (1994). Toward a paradigm for identifying talent potential. Storrs: University of Connecticut, The National Research Center on the Gifted and Talented. Frasier, M. M., Garcia, J. H., & Passow, A. H. (1995). A review of assessment issues in gifted education and their implications for identifying gifted minority students. Storrs: University of Connecticut, The National Research Center on the Gifted and Talented. The studies vary considerably in scope of aim and purpose. The studies differ in the number of students, the number of groups, and the size of the classes involved. The studies differ in their duration–ranging from a semester or less to a year or more. The studies differ in the adequacy of the selection bases and the means of matching experimental and control groups. The studies differ in the “treatment”—i.e., the differentiation of curricula and methods of teaching. The studies differ in the deployment of teachers in various groups. The studies differ in the instruments and techniques used in evaluating changes in students. Harry’s analytical approach did not involve meta-analysis, best evidence synthesis, or calculation of effect sizes. However, he certainly critiqued the research and made us realize that the issue was one of what goes on in the group that makes the difference—not the grouping practice. Harry recognized the importance of research and practice throughout all of his writings. As readers, we continue to come away with a sense that he really clarified the issue. What an incredible gift he has shared with all of us who keep returning to his words for future directions! 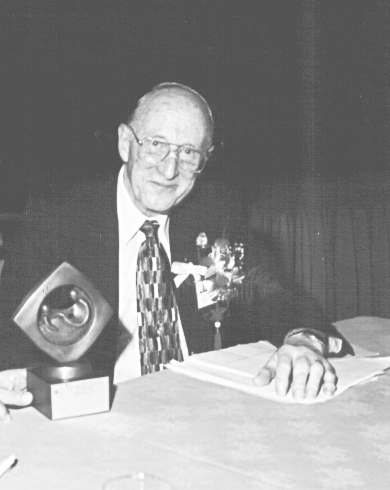 In many ways, Dr. A. Harry Passow was a catalyst for the field of gifted and talented education. With his gentle manner and incredible wisdom, he guided us for decades. His words will always be with us and our personal memories of him over the years will remain in our hearts.